The Bogner Kiera-D Down Ski Jacket is a great choice for girls this winter, whether they’re learning to ski or just trying to stay warm in chilly December weather. A DWR water-repelling finish helps keep her dry, and the 650 fill-power insulation ensures she’ll be warm during outdoor play this winter. It’s made from strong and abrasion-resistant active nylon, with a removable hood and adjustable hem. And as for what most girls will love the most, we think it’ll be the fun flower and star embroidery on the upper chest and hood. 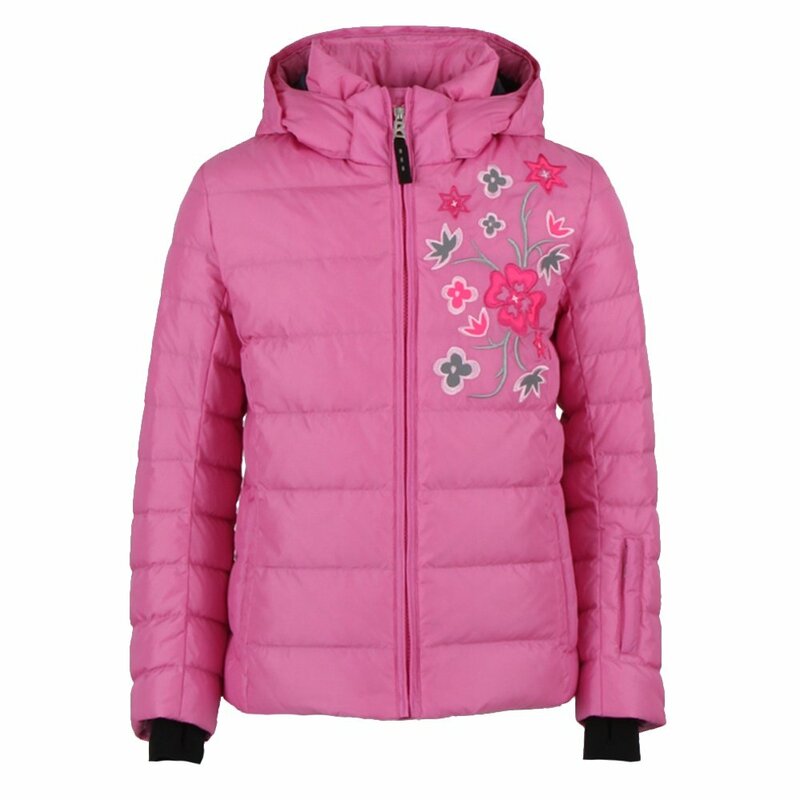 The Bogner Kiera-D Down Ski Jacket is what she’ll need this season for any kind of winter fun.